The goal of the California Regional Exposure (CARE) Study is to measure and compare environmental chemicals in people across the state. This information will support efforts to reduce chemical exposures in Californians and improve public health. The study is measuring selected metals in urine and/or blood, and perfluoroalkyl and polyfluoroalkyl substances (PFASs) in serum for all CARE Study participants. We are also measuring some additional chemicals in smaller groups (“subsets”) of participants. So far these have included 1-nitropyrene as an indicator for exposure to diesel exhaust, and selected environmental phenols. Participants are being recruited from eight regions of the state, with approximately one region covered each year depending on resources. Enroll between 300-500 adults representing different racial and ethnic backgrounds, income levels, and communities. Collect information from participants to identify potential sources of exposures. Collect blood and urine samples. Measure levels of selected metals and perfluoroalkyl and polyfluoroalkyl substances in all participants. Measure additional chemicals in subsets of participants. Return individual results to participants. Hold community meetings to present overall study findings. Release summary results to the public through our website. We started the CARE Study in 2018 in our first region, Los Angeles County. 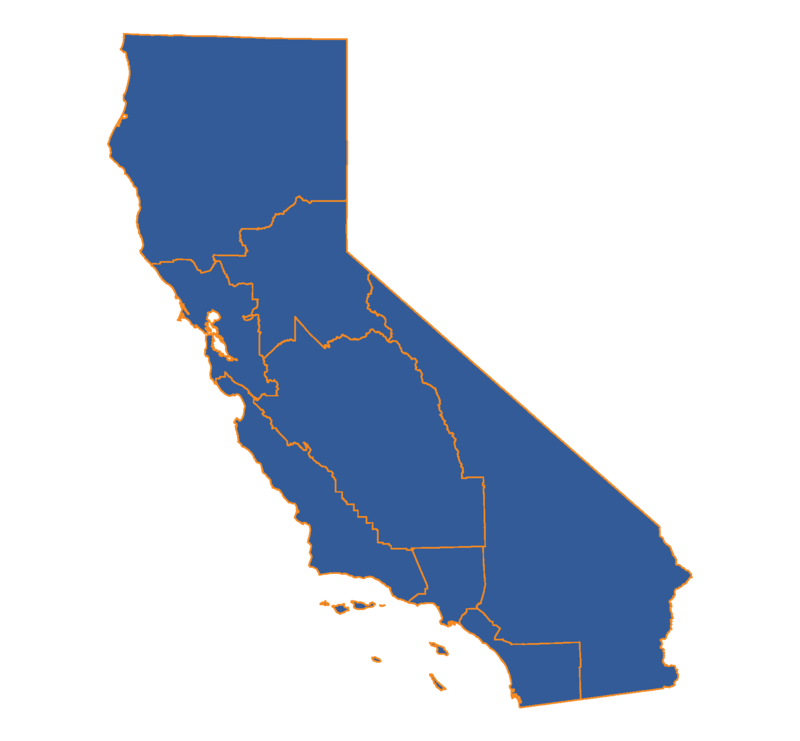 In early 2019 we began recruitment in the second region, which includes Riverside, San Bernardino, Imperial, Mono, and Inyo counties. For more information on the CARE Study, email us at CAREStudy@cdph.ca.gov (link sends e-mail). This project is supported in part by the Centers for Disease Control and Prevention cooperative agreement #U88EH001148.